After Christmas Use Up Everything (well nearly) in ..
After all those Christmas treats, gorgeous cheese boards, Italian delights (pestos, olives etc) it is time to be a bit Thrifty and clear out those fridges and have some puff pastry tarts. Buy a block of puff pastry from the local supermarket (cost £1) and roll out. I made 5 tray tarts, roll it as thinly as possible as it rises and you want the crisp base with a doughy middle. I made a lovely mozzarella, tomato and pesto tart which cleared up some of the Christmas day goodies plus a squash and apple wood cheese tart to name just a few. We comfortingly had our with peas, jackets and lashings of gravy. Just the thing for a cosy night low cost night in between Christmas and New Year.. Enjoy! 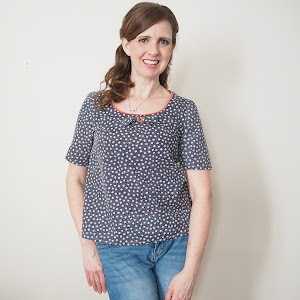 ..so tonight's post is a thank-you for some gifts made by love by my caring family! I am really am blessed to have some talented people around my new little family. Here are some of the lovely homemade Christmas gifts we received on Tuesday. So tonight I am having a break and showcasing my family and some beautiful gifts, given with love. Aunty Celia makes us chutney every year and it is mild enough for baby L to have for tea with her cheese sandwiches. We love chutney and I use it on everything sandwiches, toast and a spoonful in a curry always goes down well. For baby L, she has this beautiful Nordic style felt bird hanger. Each felt bird was stitched and embellished with beads and sequins in orange and pinks. It has a little bell on the end so we have attached it to her door so it rings each time you go into her room. Some handmade Christmas cakes were made and iced by my Mum as Christmas gifts. They were so light and a great idea, you never eat all the cake and these are kept really fresh. We have been eating our way through them and they stack in the cupboard. At Christmas time the cupboards are always full. I haven't been able to make some beautiful handmade dresses for baby L this Autumn due to my other crafty ventures and job hunting / interviews etc. 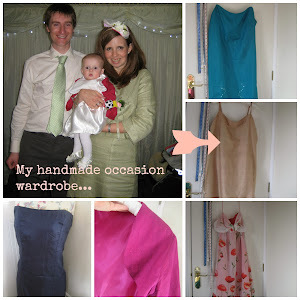 So while I was busy looking to get back in the job market as a new Mum, my Mum helped out making a new dresses. This one was a surprise for Christmas day which she kept very quiet from me and I am sure that baby L will spend many happy times in this dress. How lovely, a pot of spring bulbs wrapped in Christmas ribbon and decorated with small stones . In a few weeks we will have a show of Spring bulbs in our kitchen window to remind us that spring is just around the corner. For me, Christmas was very special as I made my first Christmas day lunch, but with seven people for dinner the thought of running out horrified me. I didn't go crazy but made sure we had enough plus a bit more. So this afternoon, I set about making a glut of curry bases to chill or freeze with what I had left. The spices in the cabbage and the sweetness in the onions was perfect. I started by sweating an onion , then adding the red spiced cabbage, red onions, parsnips and carrots. Reducing the heat, I covered the vegetables with boiling water and added a stock cube. after half an hour when the veggies were soft I blended the mixture. Then filled three boxes with the mixture to make curries in future weeks. For tonight's dinner, I took four large spoons of the mixture and left it on one side whilst I sweated a white onion, added a yellow pepper, a roasted sweet potato and some mushrooms. To the pan I addded ground ginger and garlic powder and the curry base mixture. Cooking low for about ten minutues the spices infused the freshly cooked vegetables until the curry looked rich. The rest will be chilled and frozen and I now have an empty (ier) fridge. A bargain dinner for post boxing day. After a busy few days of preparing for Christmas day I managed to host my first Christmas Day. So over the 12 days leading up to Christmas day I crafted my way through presents and treats and the odd decoration for the tree. This was my first Christmas dinner and with a 13 month old I was a little nervous of getting food from kitchen to table without a nappy stop or a teething moment! I really put everything into the preparation, on Christmas Eve we had a tagine which freed up some of my time to make the veggie option. With a visit to Church for the annual Christingle service to go to I didn't want to feel stressed and not enjoy what the children had spent months rehearsing. After Christmas Eve's tagine with couscous (bit festive with fruits and spices) I set to with my helpers to get all our vegetables chopped and in water ready for the next day. I even had enough time to make a handmade card for our kitty crazy toddler. That is real preparation on the food front. I made our Italian Christmas cake a few days before and on Christmas morning whisked up some eggs,cream and vanilla, sliced up the cake and layered it all in a oven proof dish with morello cherries and covered in brown sugar. Not too heavy for a pud. For our Christmas lunch vegetables, I did roasted potatoes of courses and a new dish of roasted red onions with pomegranates seeds and basil. The fruits really lifted the palette and were a delight. I always do too much red cabbage! Braised in cinnamon and balsamic vinegar the cabbage really added some punch and colour. The veggie option was a stuff roasted squash, stuffed with chestnut and walnut roast and the fish option was salmon with lemon and martini glaze (little sweet and bitter at the same time). I just love this time of year now that I have a little one year old running around. Yes, some days are tough but she is so rewarding. Being a full time Mummy for the time being is lovely but tiring. Sunday afternoon Mr S looked after baby as I needed some sleep and catch up on some rest as I was getting runned down. Feeling so much better now and ready to get ready for Christmas time..Mums need energy at this time of year and sometimes being looked after too! Handmade Christmas Stockings are such a delight to make and so easy even if you are a beginner.Baby has this one on her cot. Stamped Christmas wrap was something that baby and I could do together, she stamped and then wanted the whole set but it was fun for both of us to do. I will save a bit for her scrapbook. Christmas Greetings cards was a friday night project as Mr S was out working late so I made the most of my time alone. Christmas Bulbs have been planted and ready to be given as gifts. Mince pies were made last week and yes I need to make more. The butter is out on the side as I write to make some more. ... try stamping you own! ﻿If you want to make your wrapping personal and unique why not try stamping your own with a few stamps bought on the high street and some brown paper from the Post Office? I really like the rustic look you get with hand printing and it doesn't matter if you get a bit of ink on your paper. Be proud that you spent the time doing it yourself so your presents look personalised! This year NEXT had some great stamps and they are all on 3 for 2. The paint was bought from Hobbycraft and a 1.5m square paper took about 15 mins to do. I love the effects you get. Try taking a paint brush on the ink pad and dry brushing over the paper for a shimmer of colour or why not add a dash of gold paint here and there? Be creative! I just love these gorgeous heart shaped bombes, make sure you oil up your moulds and let them set for 24 hours of more. They will break off a little when you get them out the moulds so don't be alarmed, the heavier you press then mixture into the moulds the better the shape when you press them out. 1. Mix the bicarbonate of soda, citric acid granules and cornflower in a bowl. 3. Then add the essential oil and almond oil drop by drop so that the mixture comes together like wet sand. If you think it needs more oil mould it in your hands, if it sticks then this is the right consistency. 4. Press the mixture into the moulds and leave to set for 24 hours. 5. Put out the mini bombes and leave to dry for another day before placing in paper bags for gifts. To make one big bombe! You will need the same ingredients as above but 6 food bags and tin foil. 1. Follow the heart bombe recipe until stage 4, then mould the mixture in your hands like a snow ball. 2. Place the ball in a food bag and mould really tight into a ball through the plastic. 3. Wrap tightly in the foil and leave for 24 hours. Once dry unwrap and they are ready to use! I really hope you enjoy making these bombes as much as I did. All it took was some gorgeous oils and butters and dried summer flowers..
and here are some quick bath time treats, perfect stocking fillers. 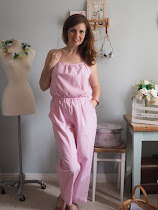 With the whole vintage and make do and mend culture has come the trend for making your own soaps and bath time treats - creams, fizzes and melts. I have no idea how easy it was until I was given a book on making your own last Christmas and yes, it is so easy. The basics for the creamers really to is to melt you cocoa butters and shea butters into a gorgeous runny oil, add essential oils and a few petals and pour into cake cases. How easy is that? I decided to make these cream buttons by pouring less liquid into the cases so that they looked like white chocolate buttons and then once set, peeled off the cake cases and stack in little acetate bags. Easy gifting. The set up cost was about £20 so really aim to make 20 things to recoup your money. Twenty bath creamers and you are in gift profit. If you have some roses just about to turn, pop them in the airing cupboard for a few days to dry out and add them to your oils just before pouring. I use one to test before I give them away (well that is my excuse!) and your bath is just one big pool of goodness ready to give your skin a good old condition. If like me, you are on your feet all day chasing around after a baby you will appreciate what I am saying. I started to make this bib up as a Christmas bib then I thought what a shame to have to throw it out on three weeks time. 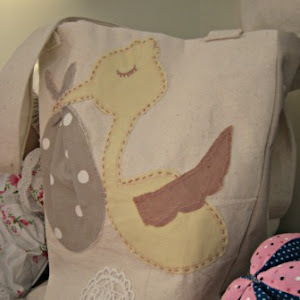 A very fast sewing project and great fun adding the end hand stitching to make it personal to your baby. 1. Take your Jersey and terry fabric and cut your fabric into a triangle. 2. Place right sides together and stitch around the triangle all but 3 inches to turn. 3. Turn the bib and press flat. 5. Add the press studs. hammering into place to that the press stud clips together as picture. 6. Embellish how you like - embroider, paint, trim - add your baby's personal touch to her dribble bib.